If you are a Retailer, the most important analytics to you will be the Company Activity data. This provides a series of graphs and charts that focus on how active your employees are within myagi, and how well they are progressing through the content you’re connected to. The first data set you’ll be presented with in Company Activity is a graph demonstrating active users in your company compared with how many new lessons you are connected to. It lets you see the relationship between learning content being connected to you on myagi, and your employees accessing the training. Less content being uploaded over time could lead to lower engagement. This matters because regular consumption of the type of sales training myagi hosts is the best way to reinforce what's been taught. If you notice engagement dropping off it might be time to contact the Brands who you connect with and ask they get more material uploaded! You could also suggest they modify the cadence with which they release content. Steady engagement levels tend to be maintained best by drip feeding content over time, not by releasing training content all at once. 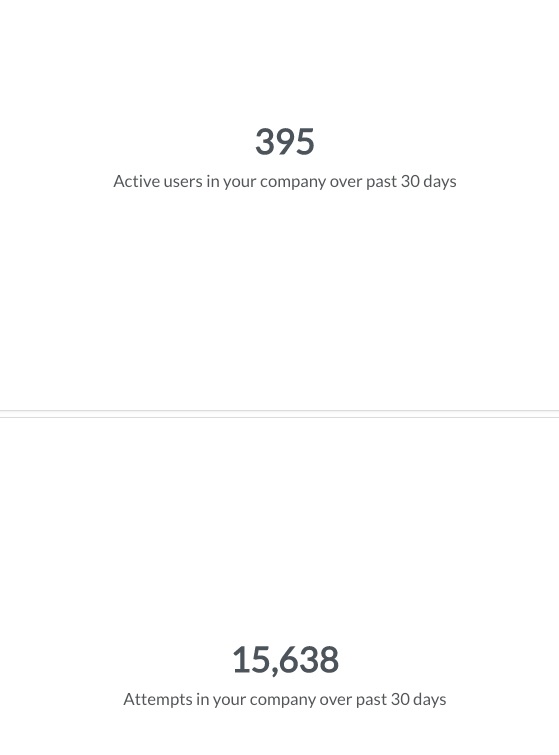 These both provide a snapshot of how active your employees have been in myagi over the past month – the higher the number the better! Another large data set shows the relationship between lesson attempts, completed attempts and successful attempts with regard to lessons. Lesson attempts represent any attempt to start a Lesson. Completed attempts mean the user has progressed all the way through the Lessons content. Successful attempts mean the user has completed the Lesson and passed by correctly answering the required percentage of questions. Ideally, you want all the Lesson data to be the same! In reality, there will be some discrepancy. A situation where these numbers appear to be getting very far apart, with users either not completing lessons or consistently failing them could highlight a problem with the content being consumed. It’s worth asking your employees for feedback if you have any concerns – make sure to regularly check out the content you’re connected to! This chart gives a visual representation of where your employees are accessing Myagi from. If this is a store computer, it’s going to be weighted towards Desktop Browsers. 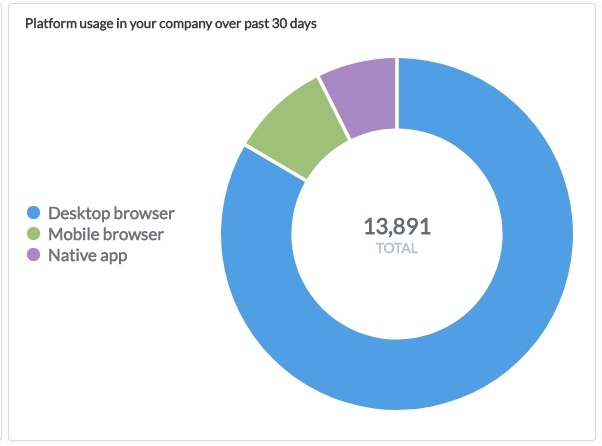 If you encourage users to use Myagi on their mobile device, you’d expect to see higher usage of the App and Mobile Browser! 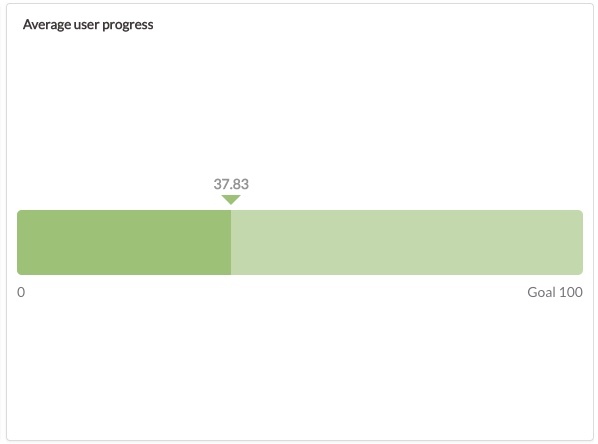 Progress refers to how far through all of the content available your users are. At a glance, you can see which Teams are most engaged. You want everyone active users in each team to be 100%. You’re able to tell which teams are close to achieving this, and which might need some encouragement to get more out of the platform.